I experienced the world-class service by Travel Guard firsthand on my recent trip to Sri Lanka, and I was so impressed! My travel companion developed an infection in his leg while we were in a remote location, and it progressed so ferociously that we had to strongly consider cancelling the rest of our trip and returning home early for treatment. I called Travel Guard’s worldwide 24/7 service line and a real person came on the phone right away. She immediately put my mind at ease with her competent manner, can-do approach, and genuine concern for our wellbeing. Within minutes, she had located the nearest hospital that had English-speaking staff, offered translation services if needed, and emailed me the paperwork so that we were prepared if we needed to change our plans to travel immediately. She offered to rebook our ground or air arrangements and emailed me the direct contact information for the Travel Guard medical team, making sure that I understood they were available to me 24/7 for anything that I needed. In the end, we didn’t need to change more than one night of our trip and were able to get the necessary antibiotics locally. However, it gave me such peace of mind to know that I had a team ready and waiting to help, and all I needed to do was say the word. I’ve always believed in Travel Guard’s product and service, especially after seeing so many of my clients assisted in their time of need, but I’ve never before needed them myself. 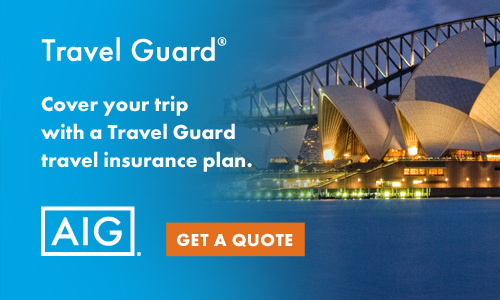 Travel insurance is something you hope to never use, but when something unexpected happens, especially when you’re far from home, Travel Guard insurance is worth every penny. After my recent experience, I am even more proud to have Travel Guard as our partner. Contact Sarah, our insurance specialist, to get a quote. Is it Too Late to Purchase Travel Insurance? Travel Insurance – Did You Know?